We offer several affordable internet website hosting plans. Each plan can be customized with additional features and tailored to satisfy your specific hosting needs. Our servers can be configured to provide server side execution, shopping carts, databases, e-commerce, on-line stores, on-line malls, on-line auctions, live audio and video streaming, guest books, counters, and much more. Most importantly, our servers are search engine friendly and facilitate high ranking when combined with our website Search Engine Optimization (SEO) techniques! Data Center Hosting Solutions Offering 99.9% Uptime Guarantee! Because of our 24/7 Network Monitoring, we can guarantee that your web site will be up and running 99.9% of the time. This means your visitors can always view your site day or night. We have four data centers geographically dispersed across the US and Canada ensuring your websites will be available whenever accessed regardless of hurricanes or other disasters that would cause most hosting companies to be closed-for-business. All email accounts include: Industry leading virus protection and the very best spam filtering, auto responders, aliases, and catchalls. Personal mail gives end user access to personal email settings, administration history, POP, IMAP, SMTP, and Webmail. Webmail includes: Contact Lists, Scheduler, To Do List, Notes, and Bookmarks. Each email account is allocated 100MB of disk space. We utilize four geographically dispersed data centers located throughout North American to ensure maximum reliability. The main one being a state-of-the-art 80,000 sq. ft. Intelligent Internet Data Center. 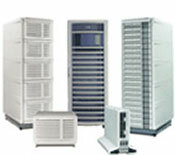 The center provides the ultimate in security, reliability and technology. We provide complete website hosting solutions to satisfy every need throughout St. Petersburg, Clearwater, Tampa Bay Florida and Nationwide. When combined with our Website, Ecommerce and Search Engine Optimization services you can be assured of a single point-of-contact for all your website needs.